Photographers can be an odd brood. They are difficult to travel with, period. Unless of course they are traveling with other photographers (although tripod rage is a real thing). Pity the poor traveler who has to put up with a group of photographers when they themselves are armed with nothing more than a smartphone. Be prepared for long waits if you happen to be one of those (usually persevering and patient spouses). What about a photographer’s family though. It’s one thing to be constantly the subject of a trained lens, it’s another to have to hang about while mom or dad grapple with a tripod and a set of filters as the light fades. So how do you as a photographer handle it? The easiest answer is to ditch the family. Often enough on workshops that I have run I have met a mother or father toting a bag of kit, sans the family who have been left under the watch of an understanding spouse. This isn’t always possible though. Certainly in my case, I am away from home enough that I prefer to travel on holiday with my family as opposed to without. For many other photographers the sheer financial and time cost of separate holidays - one with the family and one without - takes the idea of shooting without the family in tow off the cards. It isn’t impossible to get the best of both worlds though. All it requires some juggling and careful planning. When my wife and I plan a family holiday (apart from to visit family) we actively try to work in the fact that I may disappear from time to time to go and photograph. It really isn’t that difficult to arrange. Shooting times are usually constrained to early mornings for the simple fact that the kids are likely to want to sleep in anyway. I’m up before dawn before anyone else is even awake (except my poor wife is woken by me) and I’m back as sleepy children are wandering through to find some breakfast. Unfortunately, late afternoon light is not always possible. Another aspect of choosing locations is to find somewhere that will keep everyone occupied. 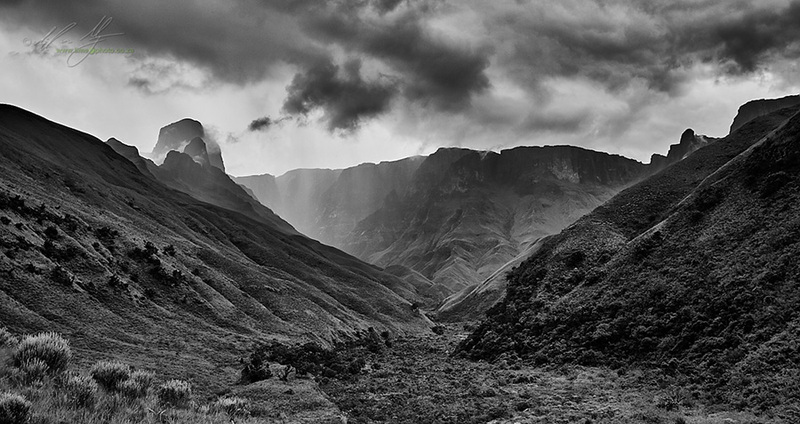 Thankfully my favourite mountain range - the Drakensberg - holds an allure to the rest of the family as well. 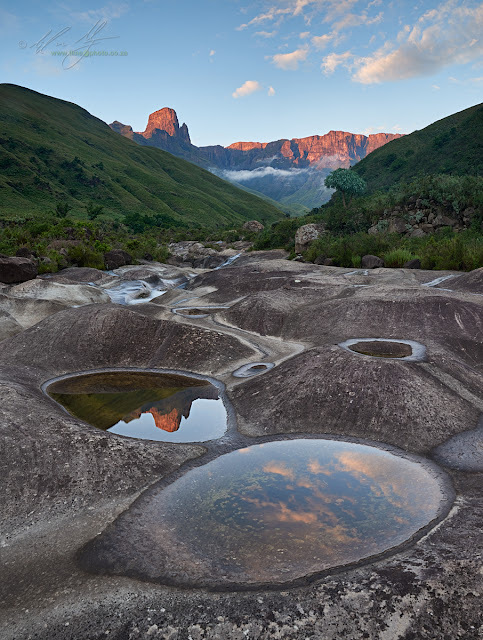 We recently hiked our first overnight stay in the Injesuthi region of the Drakensberg and I was able to capture several images during the weekend that I was very happy with. 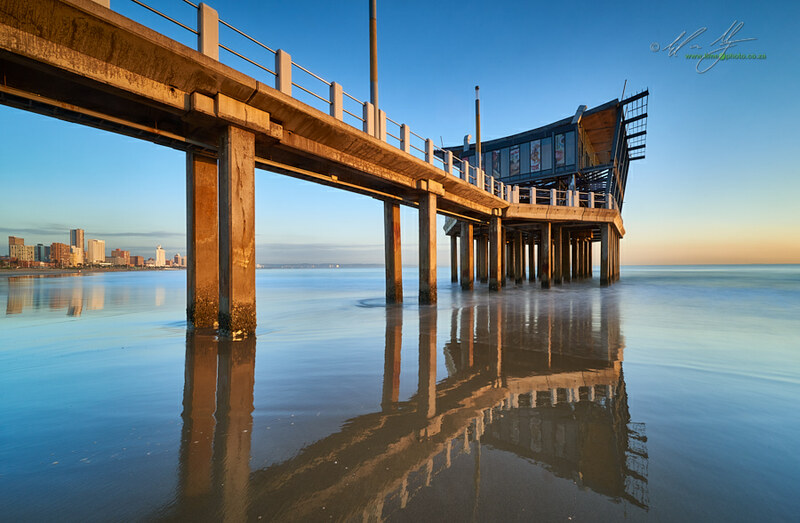 If you happen to enjoy photographing seascapes, plan the next holiday so that you are near a seaside where there are both beaches (or other activities for the family) as well as scenic sections of rock pools and bays. My children are still quite young with the eldest at nine years old. However, all three of them have taken an interest in photography already. Occasionally when we are on holiday, one or all of them will even join me on a shoot. In fact, my eldest, Michaela has joined me on a landscape shoots for clients, and equipment testing sessions for reviews and write-ups. Yes, some photographers would baulk at this idea, but it’s better having company on a shoot than not being able to do the shoot at all. My whole family are understanding enough to allow me to go and create images, even if it means not having them along. If they do come along involvement is great. Most importantly the fact that my family are prepared to accept my occasional absences while on holiday is due to the most important point in being able to mix family and photography while on holiday: compromise. This was shot with my eldest in tow while reviewing Nisi filters for Landscapegear.co.za my daughter Michaela would hand me filters as I asked for them. There have been several occasions where the light has been utterly amazing, the clouds dramatic, the sky crisp and clear, and I have been without tripod or camera. I won’t lie and say that I don’t feel a pang, but I recognize that there are times when I can chase that elusive vista, and times when I need sit, relax, and continue whatever game it is I am playing with the kids, or enjoy that vista with my wife, and not the camera. 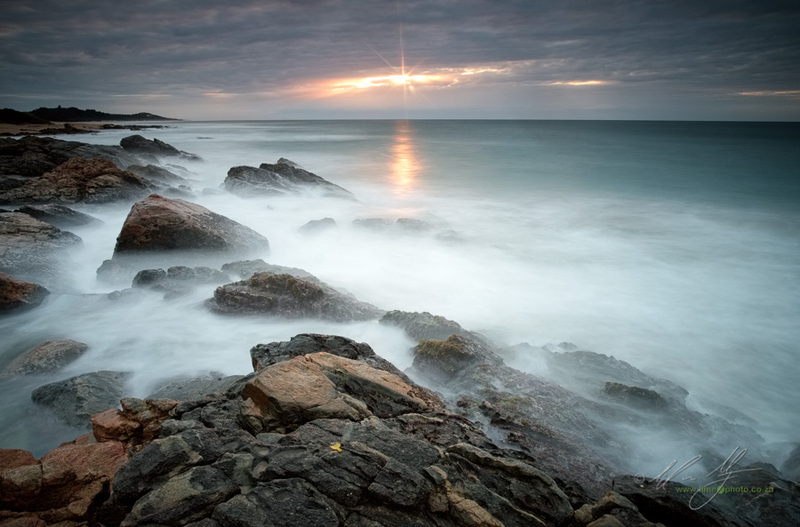 By making that compromise it actually means there is more opportunity to lug a tripod over some coastal rocks, or through a mushy field because the family know that even though the large pack of equipment has come along with us, it isn’t going to dominate the holiday. That said, I am fortunate enough to have to pick up a camera virtually every day in order to earn a living. Maybe this makes it easier to make that compromise; to put the camera down. The argument could be made that there are only so many sunsets in our lives that we can photograph. There are also only so many days that we can spend with our family. It is possible to have the best of both worlds. Photographed recently on our kids first overnight hike into the Drakensberg. The compromise here was also in the amount of equipment my wife and I were prepared to drag along with all the necessary camping paraphernalia for both ourselves and three small children.